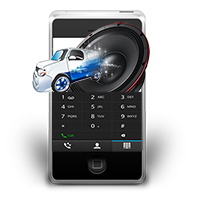 Drops Mobile Electronics, Inc. is Atlanta’s premier mobile electronics installation service. We have been servicing the Southeast for over 15 years and specialize in sales and installation for any vehicles. We can install our products or yours! Drops Mobile Electronics comes to you! We have a fleet of mobile units to service your needs at any location, so why waste your valuable time in some shop. We value our customer’s satisfaction.